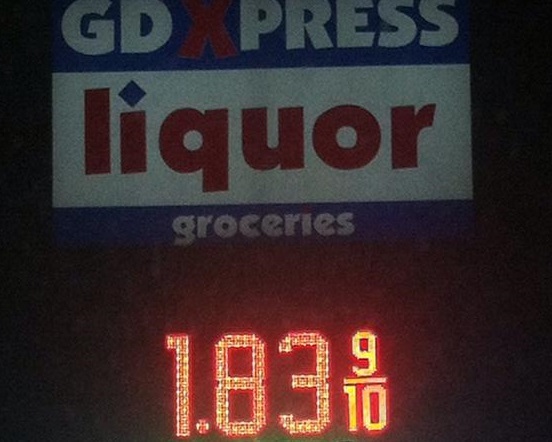 The average price of regular unleaded gasoline is now below the $2-a-gallon mark in Iowa. Iowa Department of Agriculture fuels analyst Harold Hommes says it has been about one year since we’ve seen that level. “Last January, and I think part of December, roughly a year ago, we had had dipped below the two-dollar mark,” Hommes says. The average price is just two cents below the $2 level, and Hommes says it was down more than that last December before the 10-cent gas tax increase hit in January. Not only is there a glut of oil, the supplies of gasoline are good too. “Right now we’re passed the turnaround point where industry has done their maintenance, and there’s just a lot of production at the refiner level…between the two, putting pressure on (prices),” according to Hommes. “I think we have the potential to go at least modestly a little bit lower. We can still see another 10 to 20-cent fall,” Hommes says. “…I don’t think we’ve got a lot more to go.” Hommes says he likes to be cautious and point out there could be things that happen that cause a temporary spike up in gas prices. “Whether that be a large refinery explosion, whether it be the Middle East or any of our supplying areas that cause potential problems, those cause usually a somewhat overreaction in the market and they can be very real too,” Hommes says. He says even if the interruption is very brief, they can cause a spike in the markets, even if the supplies and other factors are still good. This most recent report shows gas is 43 cents lower than this time one year ago. The national average for gas last Tuesday was $2.01.